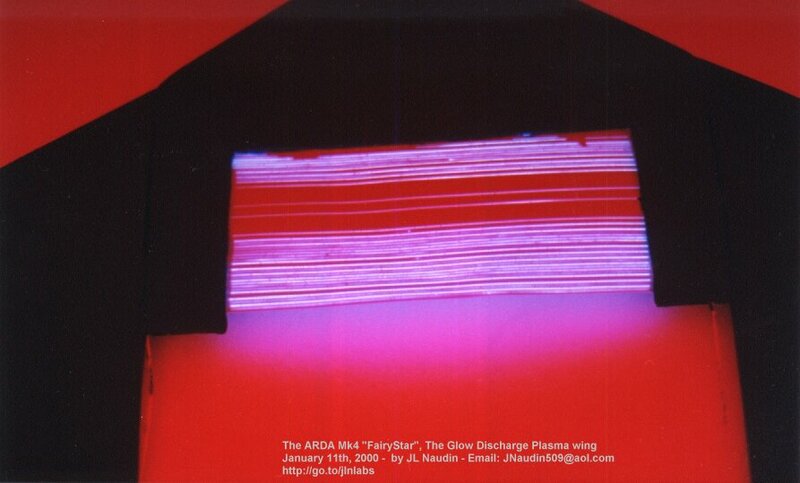 The ARDA Mk4 "FairyStar" uses the OAUGDP technology ( One Atmosphere Uniform Glow Discharge Plasma ). This is a first step towards a design of the full scale GDP Wing profile which will be used in a future ARDA Flying wing. 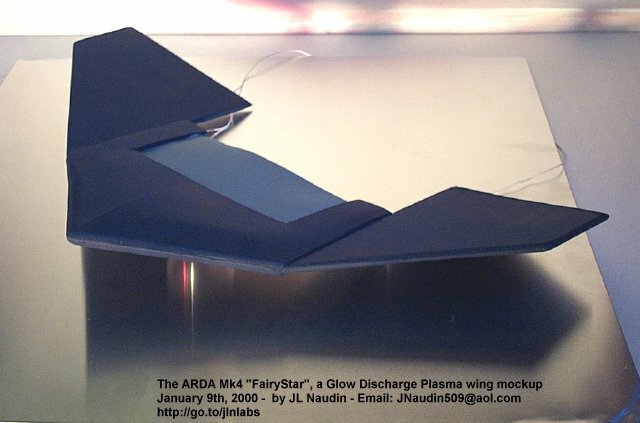 In the ARDA "FairyStar" design, the wing uses a OAUGDP panel as a thruster covered by a glow discharge plasma at high voltage and at high frequency. 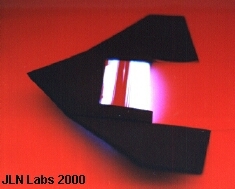 A kind of GDP panel has already been successfully tested by the NASA Langley Research Center by Roth and Wilkinson and a full report has been presented during the 36th Aerospace Sciences Meeting in Reno (January 1998) and also in my lab on December 21th, 1999. The OAUGDP panel placed at the rear of the wing (see the picture above) has been energized with a high voltage generator which generates 30kV at about 4kHz. 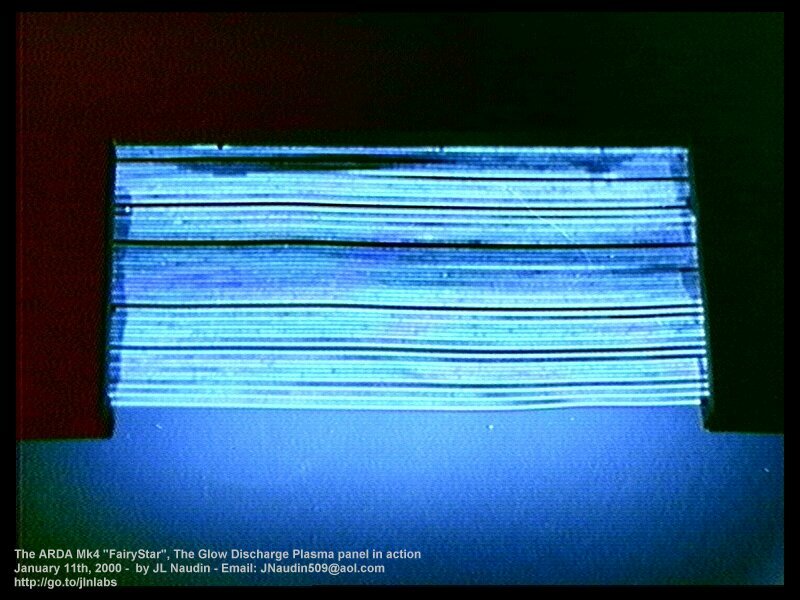 The Glow plasma panel has been previously tuned and tested for the best resonant frequency before its installation on the wing (see the picture below). The pictures below are real photos (with AGFA HDC ISO 200-AP70/C41) of working units. 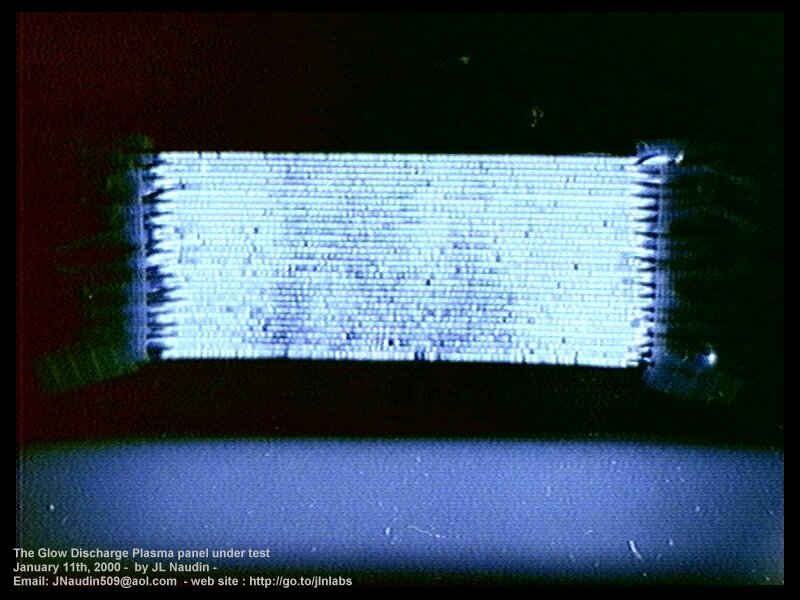 The HV generator has been tuned so as to get an uniform glow plasma skin on the panel. Then the panel has been installed on the ARDA "FairyStar". 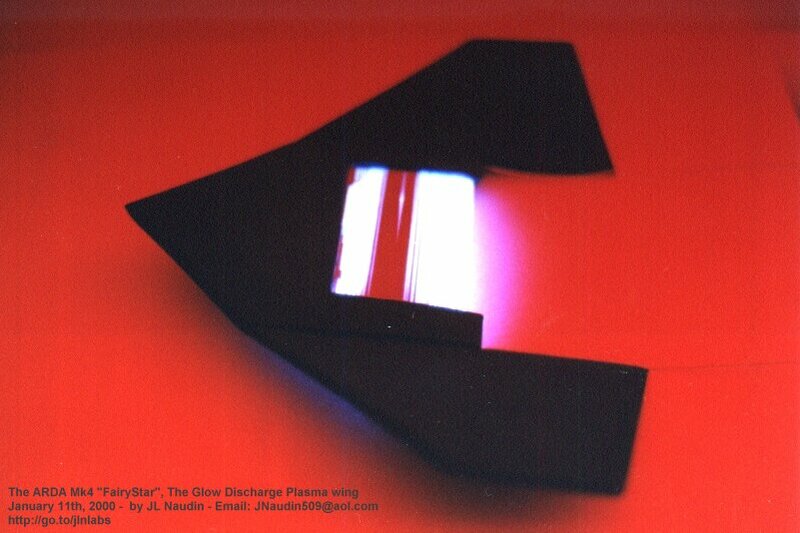 The plasma skin is now active, a special wiring sequence in the panel has been set so as to build a continuous plasma wave flowing from front to rear of the panel, this contributes to generate an unidirectional thrusting effect. 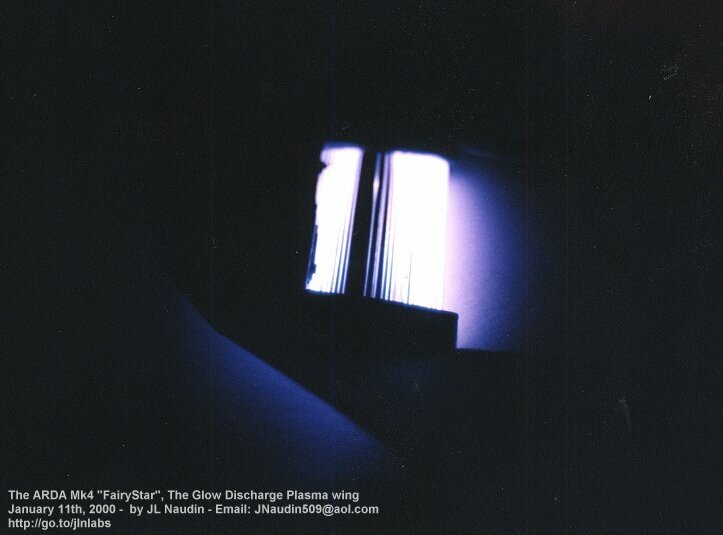 The pictures below show the energized OAUGDP panel with a red ambiant light, so, this shows the whole shape of the "FairyStar" wing with the OAUGDP panel energized. Now, the ARDA "FairyStar" is ready for further soon tests.